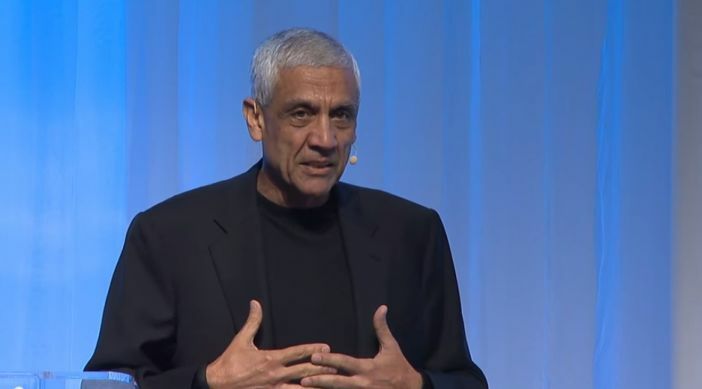 Vinod Khosla, the founder of Khosla Ventures is a seasoned investor and entrepreneur. He has seen hundreds of startup pitches and in this 25 minute video he has shared his wisdom. What mistakes startups make while pitching for seed funding (or early stage funding) and what is the best way to present to investors. I have put together some key takeaways from his valuable talk. The most important goal of your presentation is to engineer an email. Let me explain. Once the presentation is over, the investor will shoot across an email to his partners. The investor (your audience) will write a few sentences to his peers (colleagues at the investment firm). What will the investor write? Your aim is to write the email for him. Plant some key messages during your presentation. What is the company about? Why it is an exciting business? The words and tone of his email determine your fate. The investor presentation is not a place to share everything. You do not need to share 10 reasons why they should invest in you. You do not need to take them through everything. Choose overview over details. If they need details, they will ask and then you can share the same. Take them through the overall story first. Share the most important story which fascinates the investor. There are two major emotions at play in the minds of the investor; fear and greed. Fear that this might be a risky investment and greed that it could be a jackpot for the investor. Address both of them. Give 3-5 reasons to invest and also share the risks facing the business. Then address these risks. Show that you have thought through and know how to minimize the risks of running this business. Investor presentation cannot be a boring experience. You have to take care of the emotions of the investor. You have to tell a story with words, pictures and numbers. Do not bore them. They too are human. How to develop your story? What will you talk about? Step - 1 Write down all the reasons why the investor should invest in you. Make a really long list. Then choose 3 to 5 key ones. That's it. The investor cannot remember more than 3-5 reasons. Step - 2 Write down all the reasons why the investor should not invest in you. This is what is going on in his mind at the time of your presentation. Now pick up the top 3 reasons and address them in your presentation. This will show that you have thought through and you have a strategy to minimize the risk facing your business. Step - 3 Talk about the team, financials (revenue, cash flow, capex, etc.) Do not go beyond 25 slides. Step - 4 Write down all the questions you think will arise during your presentation. Prepare an answer for each of these and keep them as your backup slides. Show it to them when they ask the question. This will again prove you are a person who is prepared and well organized. Khosla says 80% of the presentations do not make the problem clear till they are about 15 minutes into the presentation. Say this right at the start. Do not make a statement. Tell me the problem you are really solving. How does a VC decide? Do you solve a real problem? What are the reasons to invest? What are the risks and how will they mitigate the risk? How good is the team? How dangerous are the cash flows? Credibility is important. After the presentation, the investor and his team will discuss "whether they can trust you?". Ensure you do not hide anything from them. Use a bottoms up approach to market sizing. That is more credible. Saying that as per Gartner the XYZ market is $2 billion is not good enough. The investor does not care about your names. What matters is what makes this team qualify for this job? How will this team mitigate the risks of business. Watch his talk by clicking here. Take care of these points when you prepare your pitch presentation. In my next post, I will share the slide design tips which Vinod Khosla has shared in this talk.